Leaving home to make theatre in another country, we have been pushed by a strong feeling that we – as artists – had lost our train; that history had left us one step behind. We felt like we needed to but couldn’t catch up. 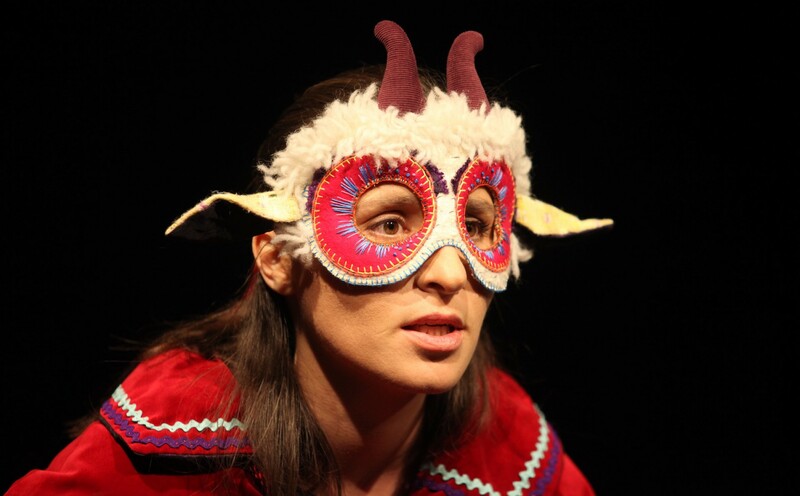 Nu Nu is a performance and research platform started by two expat theatre artists living in the UK. In Romanian, Nu Nu is the opposite of Da Da: Da Da is Yes Yes and Nu Nu is No No. Nu Nu‘s artistic creed is that the actor of the future is the actor using a second (non-native) language in performance. We believe that the theatre of the future – if there is any future for theatre – will be a theatre performed in a second language. We believe that idea of the nation’s theatre is dead. As such, Nu Nu encourages and presents work using the art of the actor in a second language, hoping to shape into reality the idea of the second language theatre for the future. Whomever is caught outside, amongst or in-between these tectonic plates – when quakes occur and as we know they do occur – is the one to take the art of theatre forward. Nu Nu is there for contemporary and future children of displacement, of rupture; taking inspiration from those who have arrived late or perhaps have been born late. The working method that we employ and on which our practice is grounded is what we like to call ‘the childlike approach’. ‘Childlike approach’ has been initially inspired by Ionesco’s lack of interest in attaching any significance or meaning WHATSOEVER to theatre and is anchored further in Emil Cioran’s philosophy. We have negotiated Cioran’s thinking by adding a third category to the list of un-bored: the child. Watch children at play! See that their ‘line of action’ is never continuous, constant or consequent. Instead, it is fragmented, following a logic that we adults cannot understand but with which – very mysteriously – we can immediately empathise. Children relate to their audiences in a very open way: they break conventions of play and spectatorship whenever they want to do so and for whatever reason. And still… there is there – in children’s play – a cellular logic of the matter. They twist the most intense and dramatic moment onto a totally unexpected avenue. Children do not follow what in theatre we call a ‘line of character’ – there is no fluidity in their ‘performance’ when playing. They do not care if they ‘jump’ from one character to another. Children do not do what they do seeking a result: they therefore accomplish Ionesco’s thinking of ‘performing’ for the sake of it. They therefore reach the divine ideal of doing nothing while performing. Nu Nu is located on the outskirts of language and of culture.